​​Sandy Springs Hardwood Flooring understands the importance of operating a business without any disruptions and our wood floor refinishing contractors work with your hectic business schedules to complete the job without losing business hours. Our floor repair contractors are able to accommodate the needs of any business to make sure your first impression is the best impression. Searching for hardwood flooring contractors near me is always a good way to find and research contractors, but look no further Sandy Springs Hardwood Flooring is here to save you time and money. Our contractors use state of the art equipment and the best methods to complete your business’ hardwood flooring repair project quickly and efficiently. Commercial wood floors are often damaged by spills, traffic from shoes like high heels and dress shoes, and from a heavy object being dropped and causing gouges. All hardwood flooring is guaranteed to end up with some damage in its lifetime. We have seen everything from the accidental spill to the water pipe explosion. Commercial hardwood floor refinishing offers many possibilities. At Sandy Springs Hardwood Flooring we are able to do an initial assessment of the floor and offer your company many plans to make your floors look novel again. Often we are easily able to sand and refinish your company’s floor to look new again. Commercial companies have many different types of wood flooring in their businesses’, our floor refinishing contractors work with your schedule and your commercial wood flooring to determine what needs to be completed to transform your business. Refinishing hardwood floors is our job. Let us run the ‘floor’ while you focus on your running your business. Sandy Springs Hardwood Flooring is not only a wood floor refinishing company, but we also specialize in commercial hardwood floor installation, commercial grade laminate flooring, and industrial wood flooring. If you have a business we are able to ‘floor’ it. Our company focusses on hiring the best local flooring contractors that the industry has. ​ Sandy Springs Hardwood Flooring offers a wide variety of hardwood floor installers that are best-skilled installers in the industry. Our local wood floor installers understand the schedule of a business. They are able to maintain flexible schedules to complete the needs of our clients. Commercial hardwood floor contractors offer a full range of commercial hardwood flooring materials and products to give your business the look you have always dreamed of. Refinishing wood floors is a quick way to give your business that fresh look, but Sandy Springs Hardwood Flooring Company is the company to give your business that industrial hardwood flooring that will set your business aside from others. The durability of our commercial wood floors will last much longer than any carpet or tile. 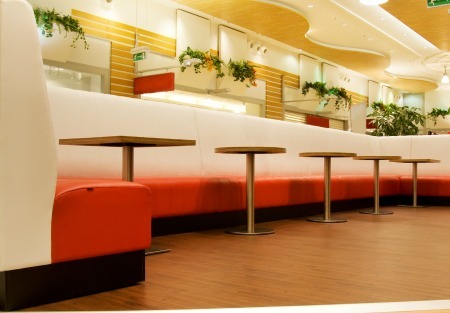 Our commercial engineered wood flooring is an affordable way to bring that luster back into your business. Engineered wood floors are created of several layers of wood with a finished wood surface. These types of floors are less likely to shrink or expand due to environmental changes. ​​ They can be refinished but not as many times as a hardwood floor could be. Solid hard is made up of natural wood planks that are a solid price and offer many finishes and refinishing options making them great for businesses. Solid hardwood is reactive to environmental changes. Sandy Springs Hardwood Flooring and our commercial hardwood flooring contractors will be able to determine the best functional flooring needs for your business. While accommodating your business schedule we also keep in mind the type of business that you have. Restaurant owners and retail stores are a good example of businesses that are concerned about protecting their products during the process. ​ Whether it is food or clothing dust would be damaging to the products. When completing a refinishing job or a new installation a huge amount of dust can be stirred up. Our trained commercial and industrial hardwood installer will take every precaution necessary to make sure that nothing comes in contact with your products. We do thorough cleanings throughout the process and also when the job is completed. We transform your business, not your products. Owning a commercial business is stressful enough without having to worry the process of improving the look of your floors. 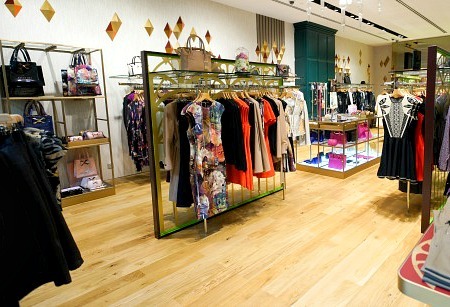 Commercial wood floor installation is always a concern of every business. Companies worry about the ‘down’ time to complete the work. As the leading commercial hardwood floor company in the area, we are able to address your concerns and make the process as smooth as possible. We do everything in our power to work with our commercial wood floor contractor cause minimal interruption. We service any type of business from retail stores to restaurants and offices to banks. Sandy Springs Hardwood Flooring is the commercial hardwood flooring company that will not empty your bank account to replace or restore your floors. We work together with our commercial hardwood company and our hardwood flooring installer to get the best value and products the industry has to offer. We take pride our commercial wood floor company to provide a 100% satisfaction guaranty to our clients and work closely with them to ensure that this goal is reached. Many commercial wood flooring companies offer products and services but, Sandy Springs Hardwood Flooring are able to save your money and time, by keeping your business open during the process. Even when emergencies happen like water damage or fires Sandy Springs Hardwood Flooring is available to help. From having flooring install completed or even replacing the damaged areas. 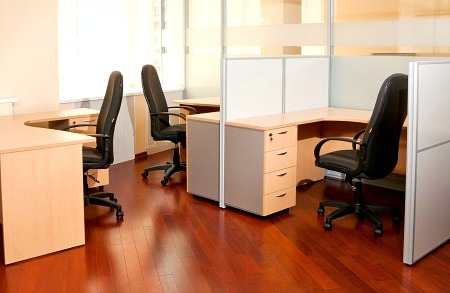 We are able to services that most other commercial wood floor companies would shy away from. Our teams of skilled contractors are able to come in and replace only the damaged areas and flawlessly work in new flooring to merge in with the undamaged floor. We are able to save you money and time by just replacing the damaged flooring so that you will never be able to tell the incident occurred.